Every single day of our lives, we are inundated with products from food manufacturers. Everyday items that we get at the grocery store are taken for granted. Collectively, we don't know it, but the brands become a part of our life. 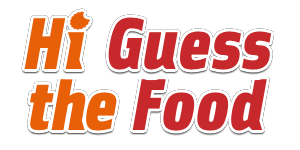 Hi Guess The Food Answers is your online resource for solving different levels in the game. Every level and every brand is featured, right at your fingertips. Simply click on the level and the answer awaits. Hi Guess The Food Answers | Hi Guess The Food Cheats This site is not endorsed by or affiliated with CamMax.